What are the best selling products on Alibaba? All around the world, economies are moving to virtual commerce. Companies like eBay and Amazon have become the leaders in shopping, creating a thriving model for selling online, benefitting both the companies and the customers. Meanwhile, this e-commerce idea is moving billions of people in China towards this new mode of buying and selling. 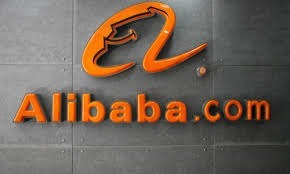 The company is Alibaba Group Holding Ltd. which has become the core of the new wave of e-commerce in China. Alibaba's fourth quarter revenues were $5.88 billion dollars, up by 42 percent over the fourth quarter of the previous year. 10. Night driving glasses by HQ. The Alloy USB data cables sold last week totaled 114,287 units and is at the top of our list for being among the best selling products on Alibaba right now. These USB cables are top-quality and made of high-strength nylon with batteries made of pure copper and compatible with all Android devices.